WALNUT CREEK, Calif. (February 2, 2016) – One of the most important tools for apple and pear growers just got even better, thanks to the introduction of Exilis® 9.5 SC from Fine Americas. 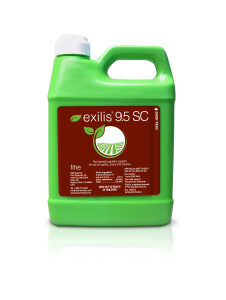 The company is now introducing Exilis® 9.5 SC as its leading post-bloom thinning agent for apples and pears based on the active ingredient benzyladenine. This advanced formulation is five times more concentrated than current formulations in the market to improve handling and mixing as well as to reduce environmental impact. This provides benefit to the grower while still providing fruit thinning and increased fruit size. Fine Americas worked with leading industry researchers over a number of years to develop this advanced formulation of Exilis® 9.5 SC in the United States. “Our research has shown that growers will get the same top-notch performance in terms of thinning with Exilis® 9.5 SC that they saw with Exilis Plus®,” said Jim Scruggs, technical services manager, Fine Americas. Additionally, to help with grower adaptation, company representatives currently offer measuring cups that will assist in accurate mixing of Exilis® 9.5 SC. Exilis® and Exilis Plus® are registered trademarks of Fine Agrochemicals, Ltd.